This is the place to find all of the news and information about the Ardmore PTSA (Parent, Teacher, and Student Association) and the events, programs, and resources we sponsor. Find out how to help or get involved. The event calendar is below. • Host a table to represent the culture/country you're from! You can share a craft, your language, games... get creative! Families can share a table. • Traditional cultural attire is encouraged and appreciated. • Send an email to events@ardmoreelementary.org to sign up for a table or with questions. Science Fair was a huge success! We had 600 visitors, and 100 students completed projects for Science Fair 2019. Photos will be posted soon. Thank you to all the wonderful vendors who came, to the staff and teachers, and to the amazing PTSA volunteers that made it possible. If you work for a company that matches donations or pays for your volunteer hours, you can help Ardmore double its funds. Find meeting notes, projects, and more in the Ardmore PTSA notebook. membership has some great perks! Check them out and join here. Do you shop at Fred Meyers and use their Rewards card? Link it to Ardmore PTSA and Fred Meyers will give every time you shop. Go to www.fredmeyer.com, create an online account and link your rewards card. 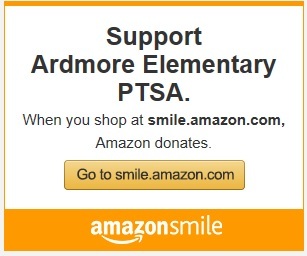 Search for Ardmore Elementary PTSA by name or IQ697 and then click Enroll.